We offer the best Pipe Cutting & Beveling Equipment to our clients. SHREE SHAKTI ENGINEERING is leading manufacturer and supplier of Cutting Torch and Accessories. Our cutting Torch handles cover the full range of welding, cutting and heating needs. 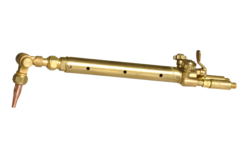 Cutting torch works with all fuel gases. There are pressure restrictions for different gases. Our cutting torches are used in industrial and general fabrication, light fabrication and cutting plate and pipes. Cutting Torch Accessories offeredcomes in sturdy construction finish and can be made available in different finish specifications and configuration choices so as to perfectly match up with the specific work process application needs as demanded by the customers. 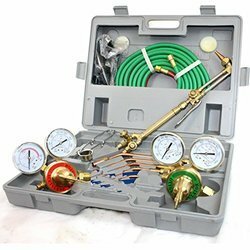 Further, these cutting torch accessories feature use of quality tested components so as to deliver reliable working support. Some of it features include made available to customers in varied technical specifications; available options include cutting torch, angle heads, cutting tips, angle heads, flashback arrestor and others; options of standard/OEM construction specifications.